The HIV prevention drug Truvada has been found to be less effective at the same dosage for women as opposed to men. It’s been hailed as a miracle drug for stopping the spread of HIV, and at the same time condemned for creating a false sense of security in those at a high risk of the disease. It’s called Truvada, a Pre-Exposure Prophylaxis (PrEP), and a recent study found that Truvada is less effective in women in the same doses as it is for men, as we reported recently. But there’s a lot more to this drug, and a major controversy behind it. 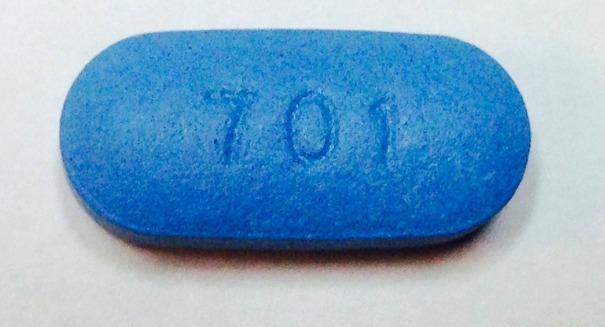 PrEP, and Truvada specifically, is for people who are considered at a high risk of HIV. It is supposedly 90 to 96 percent effective if it is taken every day, with no missed doses. Sounds great, right? However, there’s a major problem. It is absolutely essential that Truvada be taken as prescribed, but studies have shown that a full 52 percent of those who participated in the study didn’t do this. That means those who engage in high-risk activities for HIV may have a false sense of security based on the idea that they are at least taking the drug, even if they recently missed a dose. And it gets worse: someone who takes Truvada has a greater chance of HIV becoming resistant to Truvada if they do get it, and since Truvada is essential to a successful AIDS treatment, that could prove fatal in the end, according to a US News report. Then there’s the side effects. Truvada in extreme cases can result in kidney damage and bone loss, perhaps preferrable to having HIV but still quite serious. And there’s the cost, which can run into the thousands of dollars. But it at least is a tool available to the HIV community. If you can afford it, are willing to endure the side effects, and can commit to taking it as prescribed, it may still benefit you.